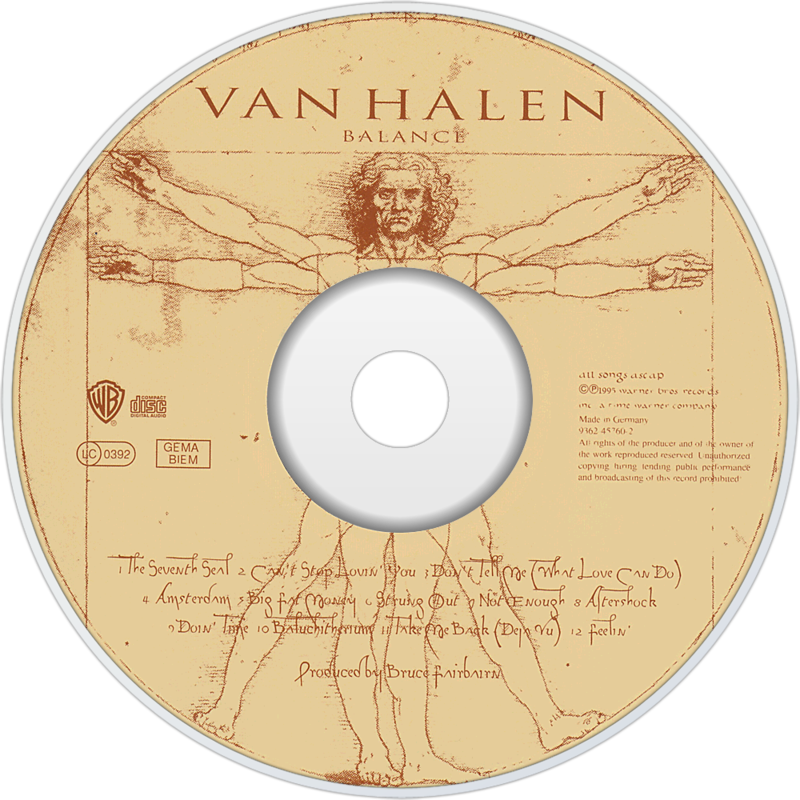 Balance is the tenth studio album by American hard rock band Van Halen, released in 1995. To date, it is the fourth and final Van Halen album of all-new material featuring lead singer Sammy Hagar. It was also a more complete divergence from their earlier, more heavy metal sound. It has the hard rock elements of For Unlawful Carnal Knowledge, mixed with the dark and somber themes from OU812. Although the album was mostly made at 5150 Studios, Hagar and producer Bruce Fairbairn recorded vocals at Little Mountain Sound Studios in Vancouver [Hagar claims in his autobiography that this was because Eddie Van Halen was overbearing with his criticism and attempted direction of his vocal takes]. Originally, the title of the album was to be named Seventh Seal and, at some other point, The Club (nickname of their former manager, Ed Leffler, who died in October 1993). Behind the scenes, Van Halen was falling apart. Eddie was in need of a hip replacement, and Alex Van Halen was suffering from neck pain. The band's new manager was Ray Danniels, who happened to be Alex's brother in-law.